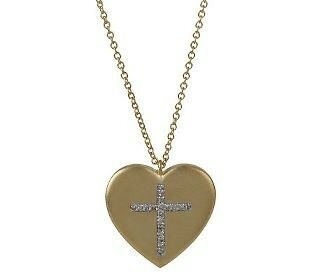 MEIRA T designed ladies heart pendant set with a diamond cross in the center. 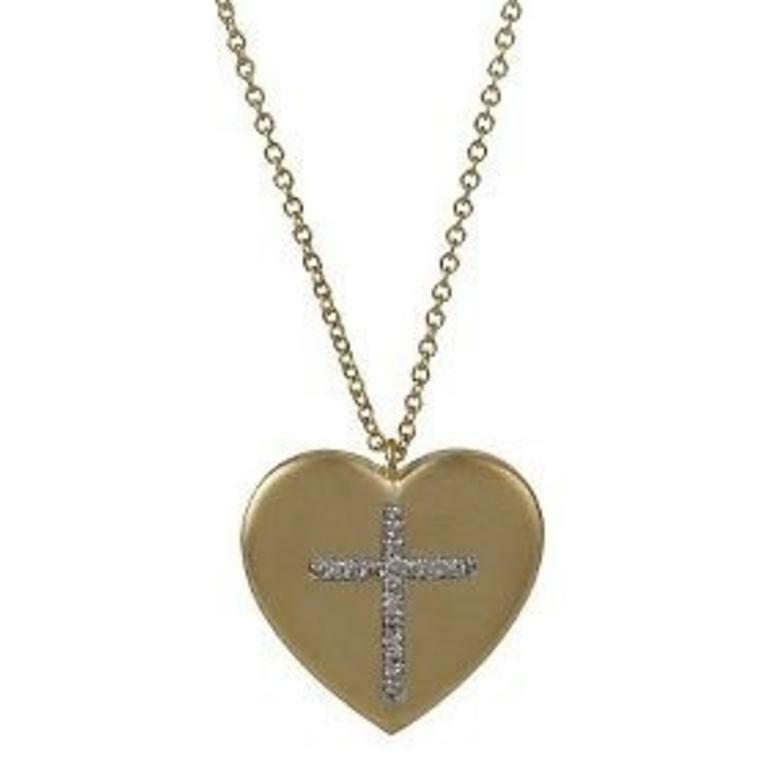 This pendant is crafted in 14k yellow gold with a satin finish application on the surface. The cross is set with round brilliant cut diamonds.